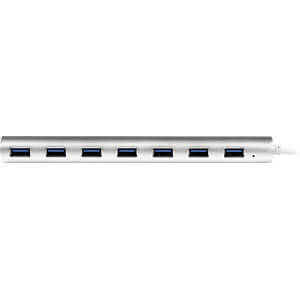 This compact, 7-port USB 3.0 hub is tailored to match the stylish design of your MacBook. 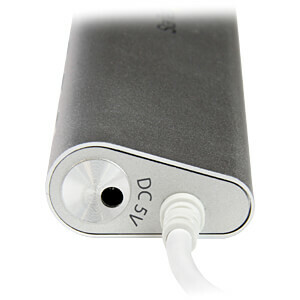 It features a sleek, silver sandblasted housing that looks great next to your Apple laptop. 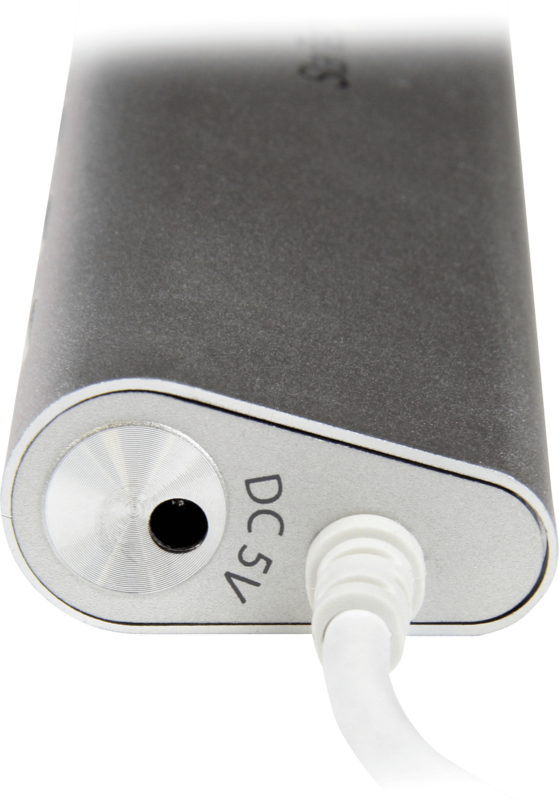 And, because the hub is designed with a solid-aluminum casing, it provides the lightweight durability that’s ideal for either travel or desktop usage. 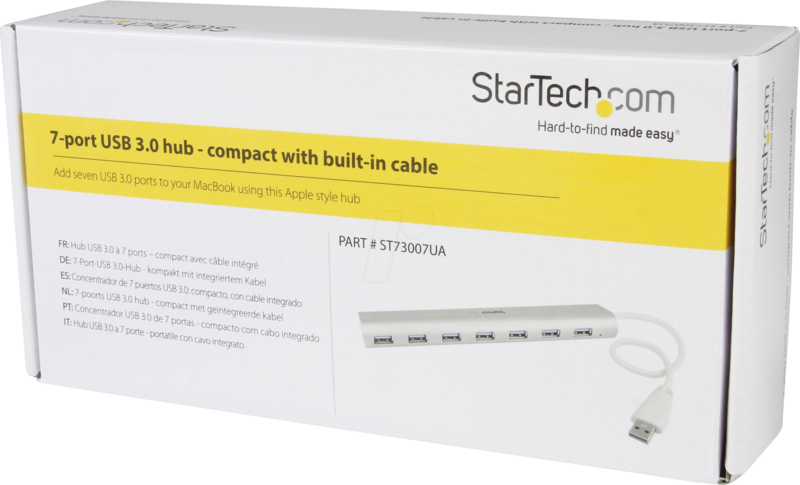 This high-quality, Apple style USB hub gives you an easy way to expand your MacBook connectivity. 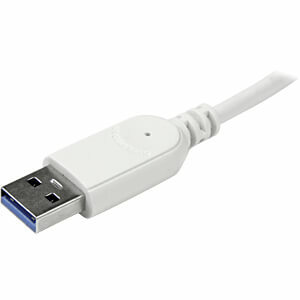 It provides seven USB 3.0 (also known as USB 3.1 Gen 1) hub ports in a compact housing. 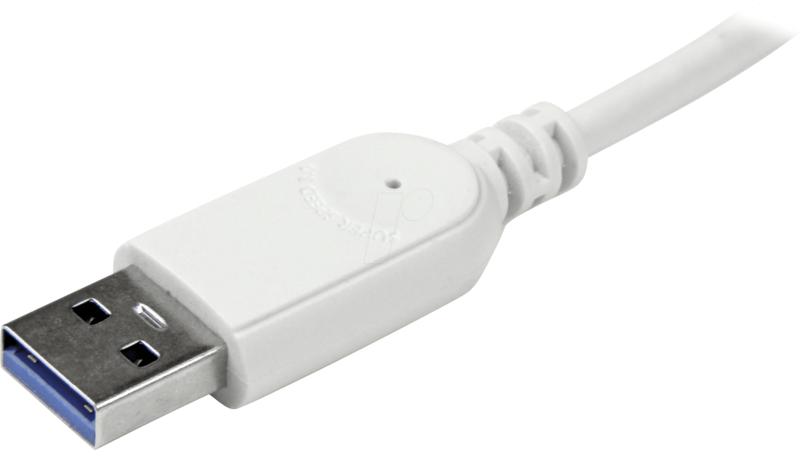 With more ports, you have more scalability to connect extra USB devices. 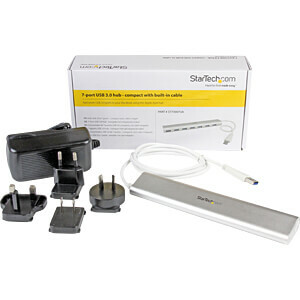 Plus, you can leave your devices plugged in, so they’re ready to use when you need them. 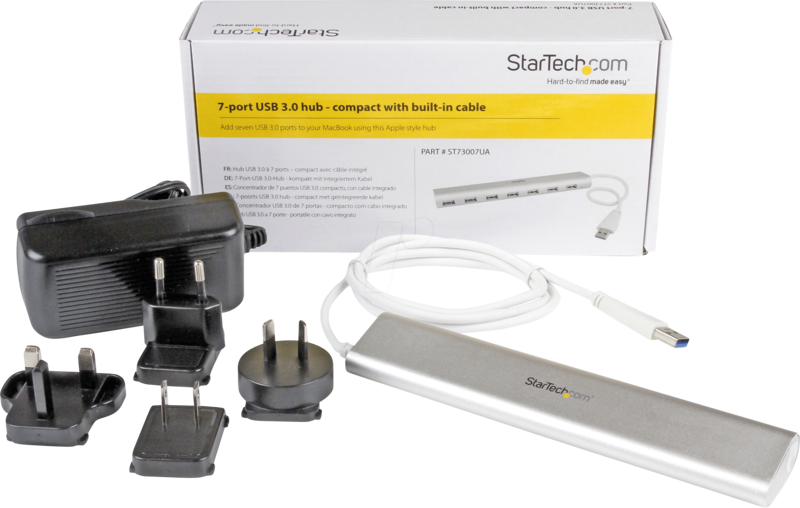 The hub features a built-in, 98 cm (38 in) cable that is longer than what most traditional hubs offer. 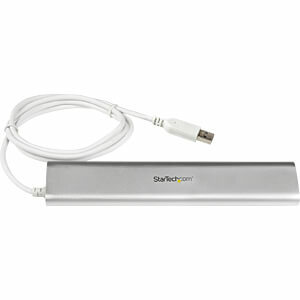 The extended-length cable gives you the flexibility to place the hub and your devices exactly where you want them, and it ensures the hub can connect to your laptop or tablet regardless of where the laptop’s USB 3.0 port is located. 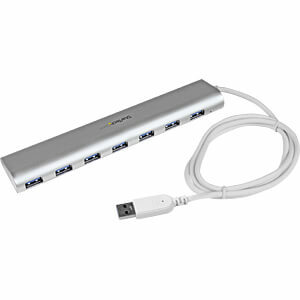 This compact hub features seven ports with plenty of space between each port, unlike some USB 3.0 hubs that jam multiple ports into a tightly-packed space which makes it difficult to connect multiple devices to adjacent hub ports. 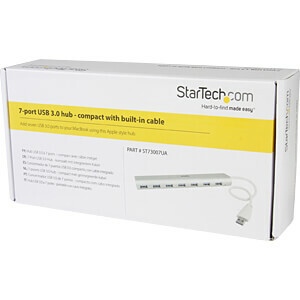 With extra port spacing, you can connect devices and cables that have larger connectors, without sacrificing the hub’s small footprint design.